Rodney King made that sentence famous after he was beaten by LA police after a high-speed chase in 1991 and his beating was captured on video tape, sparking national outrage and local rioting. I've heard that statement repeated in the media in recent days with the rioting in Ferguson, the protests across the country against perceived police brutality, murder in a temple in Israel, the Taliban mass-murder of school children in Pakistan, North Korea hacking into Sony computer systems and threatening to kill American moviegoers, and now the assassination of two brave, innocent New York police officers. As a NJ divorce lawyer, I've thought about those words over the decades since Rodney King first uttered them. But despite the obvious dissimilarity of political instability and racial unrest to divorce emotionality, the similarity of people acting out with too much emotion during what is supposed to be the holiest time of the year is difficult for me to ignore. It is not my place to comment on race relations. I'm not a politician, I'm a divorce lawyer. I leave that to others. Similarly, it is not my place to comment on international conflicts over the cerebral gap between American constitutionally protected First Amendment rights and North Korean disinterest in same in the face of sensitivities to a comedy depicting a farcical assassination attempt of their unelected leader. My area is New Jersey divorce law and in that realm I feel comfortable commenting on unnecessary inhumane treatment by one divorcing spouse toward the other. Trying to be civil toward each other in divorce is important. Soon to be ex-spouses have more to gain by being civil than they could ever gain by making each other's lives miserable. As families across the US prepare to join loved ones for a Thanksgiving feast, let’s take time to consider the less fortunate among us — the hedge-fund billionaires battling their spouses in divorce court over every last painting, vacation house and private jet ride. Celarier's point is well-taken. Divorce affects people from all strata of society. I'll never forget hearing the late great Monmouth County NJ Superior Court Judge Alexander D. Lehrer say many years ago that it is not the divorcing Monmouth County wealthy couples that keep him awake at night; rather, Judge Lehrer said that it was those families where if the judge made a financial decision that was "off" by a relatively small amount, someone might go hungry. We all know the common line: A supporting spouse has a duty to continue to support the other spouse and children commensurate with the standard of living that the family enjoyed during the marriage. But what happens when the supporting spouse is acting like a jerk? In particular, I caution my clients at this time of year that they very well may wonder why they feel so bad when everyone else is singing songs, when there are colored lights, Santa Clauses, Salvation Army representatives, and where there are generally happy people everywhere. I warn them that the “holiday blues” can sneak up on them, a little at a time, until they suddenly find themselves very sad in the midst of a world that seems to be otherwise very happy. And then I try to help them focus on the obvious, namely that January 2 is just around the corner and that if they can hold it together until then, the world goes back to normal. 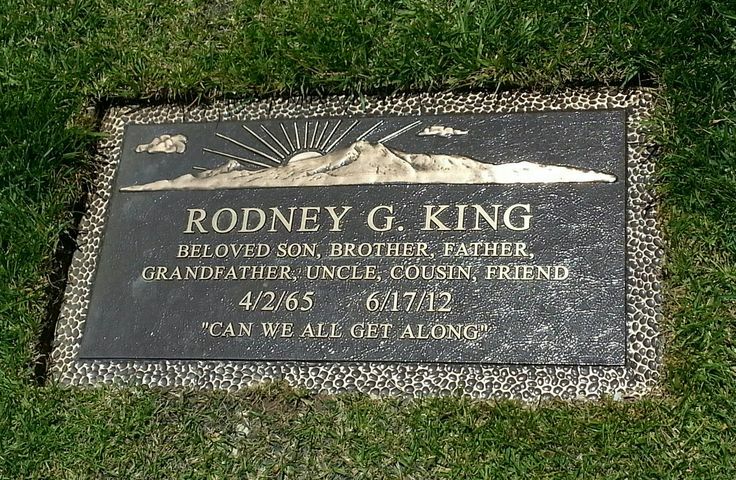 In this age of nuclear-tipped warheads and nuclear-spirited divorce lawyers, it would be best for all of us, litigants and politicians, racists and pacifists, Christians and Jews, policemen and protesters, sons of American Korean War vets and sons of North Korean soldiers, to heed the words of Rodney King: "Can't we all just get along?"